To prepare for the SDG implementation in Aruba, Expert Working Groups (EXWGs) have been instituted for each Pillar: People, Planet, Prosperity, Peace and Partnership. A broad range of stakeholders are approached along the way to participate either as part of the EXWGs or through workshops/public events. The EXWGs have the task of (1) prioritizing programs, strategic objectives, desired outcomes, actions, budget, planning for the NSP, and (2) prioritizing and localizing the SDG targets and indicators (which are) related to the proposed programs for the National Strategic Plan (NSP). The private sector, NGO’s and academia will also have a joint responsibility for the implementation of the NSP. The National SDG Commission is in charge to guide and coordinate the implementation process and reporting on the SDGs. 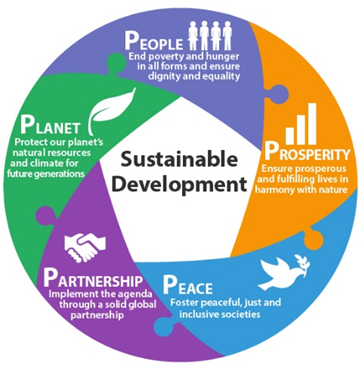 The Department of Economic Affairs, Commerce and Industry (DEACI) is in charge of and responsible for the NSP in which the SDGs are incorporated. The Department of Finance participates in this process to align the NSP with the Multi-annual Budget and Control Cycle process, in order to secure the financing of the different actions for the implementation of the proposed desired outcomes. The Indicators Working Group (IWG) in collaboration with the Central Bureau of Statistics (CBS) (1) guide the process of identification of the indicators, (2) create a baseline report and (3) develop a monitoring system. The main objectives of the IWG are (1) to develop a National Statistical System (NSS) and a data dashboard, and (2) to improve the statistical capacity of government employees and NGOs. Contributing to a healthy and sustainable socio-economic development of Aruba by supporting the government in achieving sound economic policies and management.